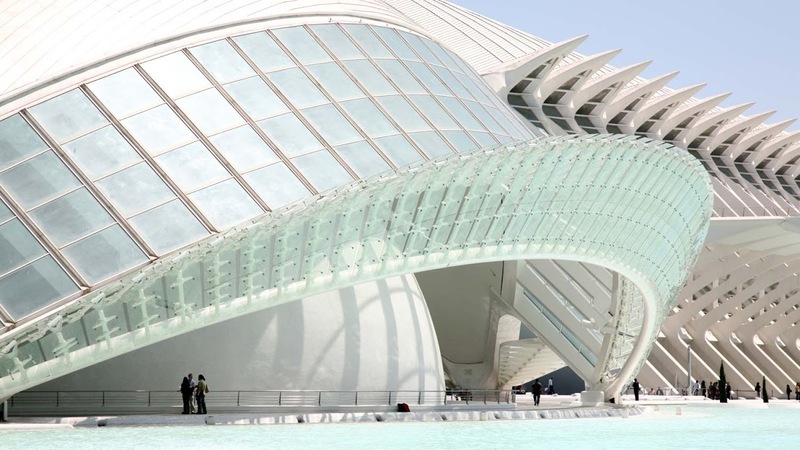 Valencia's ethereal City of Arts and Sciences consists of eight gleaming white structures amidst a sunken park. 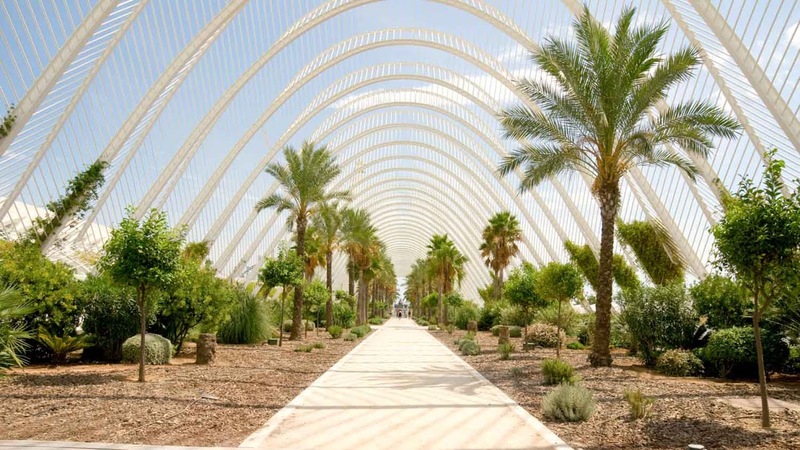 Their uncoventional futuristic designs, created by famed Spanish architect Santiago Calatrava, have made this City a celebrated treasure of Spain. 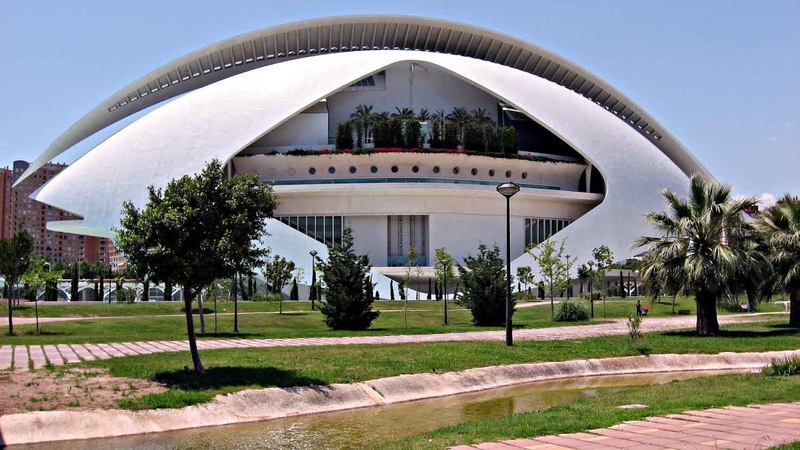 This planetarium was the first building to open in 1998, and its curious form reflects an opened eye. For an ultimate IMAX moment, watch a film on its 9,687-square-foot screen. After admiring lush vegetation under soaring arches and strolling down the Art Promenade, gain hands-on knowledge about the universe at The Garden of Astronomy. Named after Spain's Prince Felipe, who is now king, the center hosts seasonal exhibitions and an interactive look at science, technology and the environment. The Oceanogràfic illustrates the world's main ecosystems with 45,000 marine animals from 500 different species. There's even an underwater restaurant for a deep-sea dining experience. Named after Spain's Queen Sofia in 2005, the avant-garde opera house comprises four cultural venues for music and theater. The Main Hall can seat up to 1,400 people. You can either purchase tickets for the one place you'd like to visit (Hemisfèric €8, Oceanogràfic €27,90, Science Museum €8), or mix and match the sites with a packaged price. You can book all three for €32, which includes a 10% discount when booking online. When selecting the Hemisfèric, you'll need to choose one film session you'd like to watch. You can buy all tickets online for a specific date. 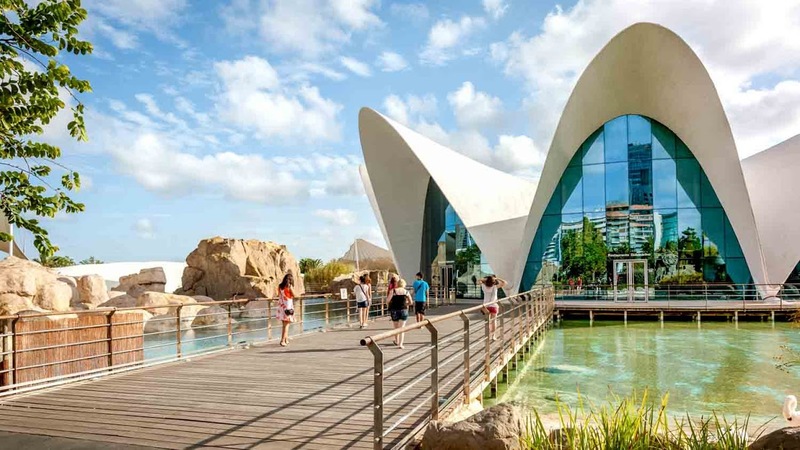 During the medium-high season (April 2 - July 12), the Oceanogràfic opens daily at 10:00 am and closes at 8:00 pm, and until 12 midnight from July 17 - Aug. 31. Closing times are different for low and medium seasons. During the high season (July 1 - Sept. 6) the Science Museum opens daily from 10:00 am - 9:00 pm. Closing times vary according to the low and medium seasons. To see an IMAX film at the Hemisfèric check listings for show times. Tours take place on weekends and bank holidays and are subject to a minimum number of bookings per tour. The cost is €8, and you can purchase a ticket in advance online by 1:30 pm on the Friday before the weekend at the latest. 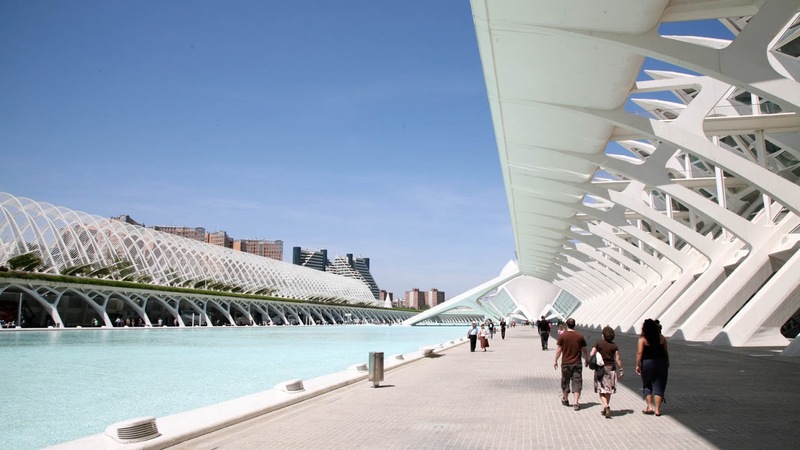 The City of the Arts and Sciences is fairly close to Valencia's center. Take metro lines 1 or 5 to Alameda station; it's a 15-minute walk from there. City bus lines 1, 13, 14, 15, 19, 35, 40, and 95 go directly to the City. If purchased at the ticket office, a combined entry pass will cost 36 euros. It's worth your while to book online for a discounted price. It's easy enough to get around and explore yourself, but if you want to know more about the park and its curious architecture, there are numerous guided tours available. For the physically ambitious, there is a running tour! Take the metro to Alameda station or hop on a bus. There's so much to see, you might want to split this excursion into 2 days!